This was to be a last ditch effort at trying to get to one of the higher elevation trails before the snow closes them for the year. Since the weather has cooled and we have had rain, I wasn’t sure if we would be able to make it to the trailhead at 4200′. I knew it was supposed to be a wet day, but since this is the last chance, I wanted to try anyway. Well, I wanted an adventure, and that is what I got. The trip to the trailhead was almost as much of an adventure as the hike itself! Started seeing snow at a little over 3000′ and it kept getting deeper and deeper. When it got to about 5″ and there were no tire tracks, I decided to put on my chains. Once the chains were on, it was pretty easy going, although the road got VERY brushed in in places, especially where the alders were drooping due to the new snow. Finally made it to the trailhead at the old Twin Springs campground. Started down the road in the old campground (it has been bermed and ditched so that no vehicles can go in there anymore), and found an old sign for the trail. According to that sign, it also went down to Hambone Springs. It said 2 miles to the Roaring River and 8 miles to Hambone Springs. Interesting little bit of forest history. Wasn’t sure how well we could follow the trail in the snow, but it was easily apparent where the trail was, at least for the first 3/4 mile or so. After that, there was good flagging to guide the way. All the way down to the second crossing of Plaza Creek (or where it meets the creek). At that point, the flags disappeared and we were unable to find any sign of the trail after that. With the trees dripping heavily, we decided to eat a quick lunch and start the long ascent back to the top. Some neat things to watch for on the trail – – a couple of nice creek crossings, a really neat rockslide, and an interesting rock formation – from the bottom end it looks like a fieldstone chimney! This was the second to the last trail in my quest to hike all the trails in the Clackamas district. One more to go! (Corral Springs). Even though it was really beautiful today with all the snow, I would like to see this trail in the summertime without it. I think it would have a completely different feel to it. All in all, a good way to end up the high elevation hiking season. A truly epic hike. The weather was absolutely fantastic, although we did get very wet due to the brushiness of the “trail” (an old road that was decommissioned after the ’96 floods). It was one of the most grueling hikes I’ve ever done, probably only topped by one back in 2009 where I did more mileage on normal trails with more elevation gain. 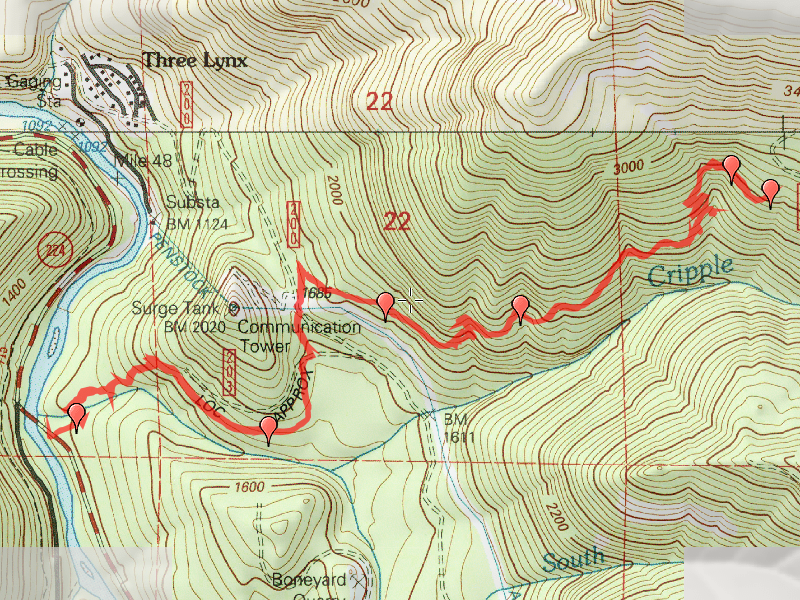 The first 7 miles was pretty much tough bushwhacking through young alders most of the way. The old roads are REALLY getting overgrown – and most of the places you couldn’t even see the gravel anymore. The duff is starting to build up and ferns, etc are starting to grow in the old road. The alders were the biggest problem, though. The road started out with sort of a track, but that quickly disappeared. The good news is that since we decided to do a shuttle hike, we were going downhill all the way, starting at about 4100′ and finishing at about 1200′ . One of the questions for this hike was whether or not we would have to do an out and back hike of if we could do a thru hike (which was shorter). By about the 5 mile mark, we decided we were going to get across the creek no matter what – we weren’t going to to and out and back! Fortunately, there was a really big log over the river which made a perfect bridge. That turned over bridge was an absolutely amazing sight. One end of the bridge was actually twisted upside down! 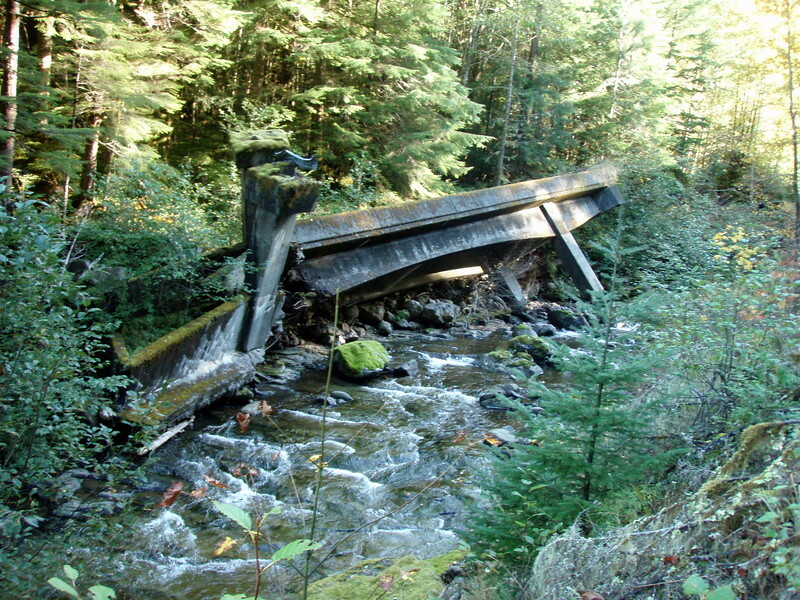 The bridge broke at one end and twisted. Absolutely incredible. We had a late lunch there, dried out our feet and changed socks and then continued on. The next mile to the next bridge was probably the toughest since there were lots of downed trees over the road, some of them really tough to get around. By the time we got to the bridge at the confluence of Fish and Wash creeks, we were pretty tired. We had taken a lot longer than we planned, but from then on, the track was pretty good – it was like a 4 lane superhighway compared to what we had done before! We made great time back to the vehicle at the north end, but it was almost 6:00 – two hours later than we had planned – and we still had 2 1/2 hours of driving ahead of us. We got to my truck just after dark and turned around – driving on forest service roads in the dark isn’t fun! We missed a turn and had to figure out where we missed it. We finally figured it out and got on the road back. It was about 22 miles up narrow, winding gravel roads, with several turns along the way. Interestingly enough, most of those roads are in pretty good shape – there was even a section of a mile or so that is still paved! I ended up getting home about 9pm – a 13 hour day. I was exhausted but we had a good time, and seeing that turned over bridge was worth all the effort. I’ll be paying the price for the next few days, though. 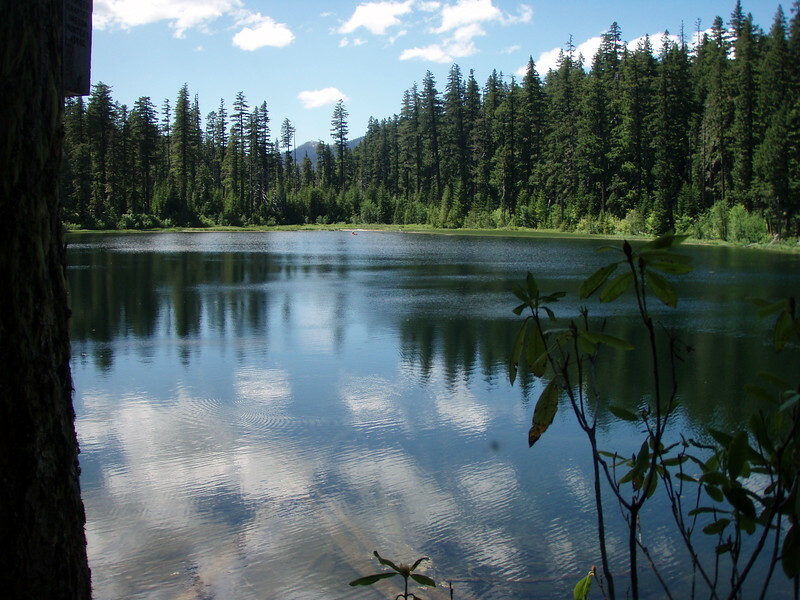 Trying to get in some last hikes before snow closes the higher elevation trails, and also trying to add to my goal of hiking all the trails in the Clackamas district, I decided to hike 4 trails this day – Russ Lake, Olallie Lake, Monon Lake and Mon-Olallie Lake trails. What I thought was going to be a great day weather wise turned out to be rather foggy and overcast. It wasn’t too hot and wasn’t too cool, probably in the low 60’s I’d guess. Not a bad day to do hikes out in the open. 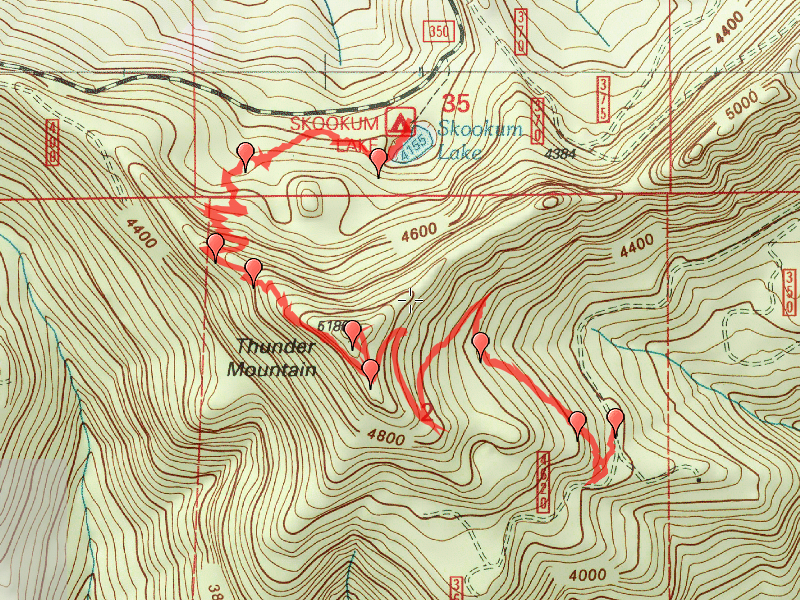 These trails are all very flat, probably no more than 75 feet elevation gain/loss, so the hikes went pretty quickly. Started the hikes doing the short Russ Lake trail, and took the side trip to Jude lake. Interesting area with some nice campsites. Both lakes are on tribal land. 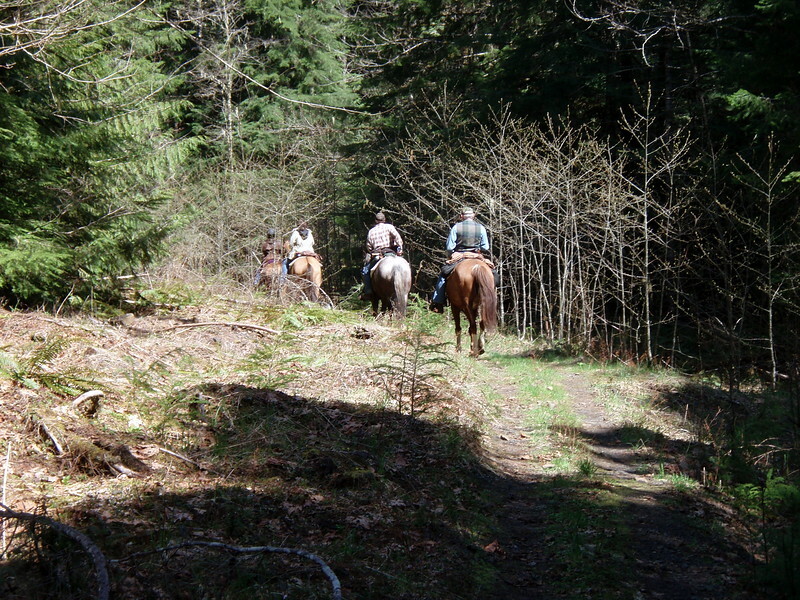 Next, moved to the Olallie area and did the 3 trails around and between Olallie and Monon lake(s). It was interesting to see the burned areas, although it did quite a bit of damage to the forest. Seeing the non-burned areas, I would have loved to have seen the area before the fires. The area is starting to recover, but it is going to take quite some time. The south side of Olallie and the east side of Monon lake really took the brunt of the fire damage. Once you get to the southern part of Monon lake, you get out of the fire damaged area and into the woods again. You cross over several sections of marshy area where there have been raised sections of trail built. Walking around Monon lake is very nice. The trail doesn’t go completely around the lake since the road (4220 road) follows the western part of the lake – you walk up the road to the “start” of the trail just south of where 4220 meets the lake. 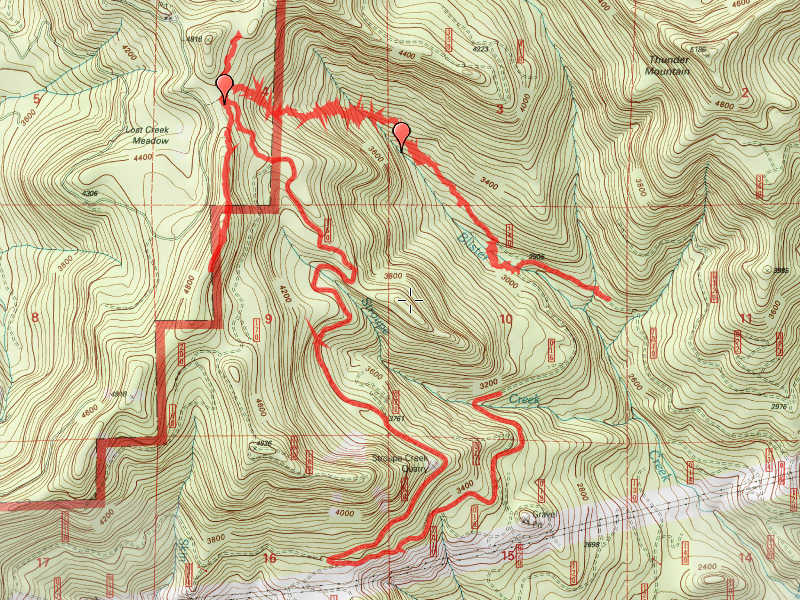 We continued around monon, coming back into the burn zone and then back up the Mon-Olallie lake trail to Olallie. 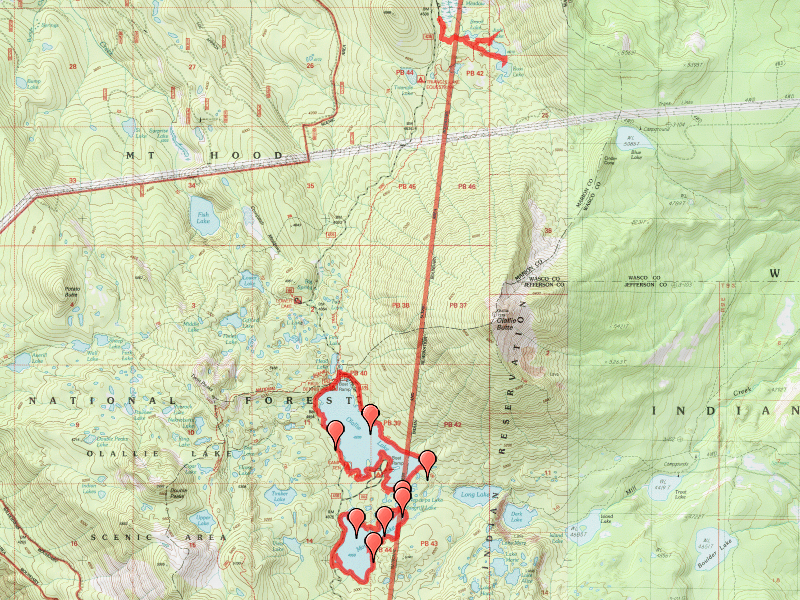 Continued around Olallie lake clockwise. Got to the spot where the trail stops (where it hits 4220) and hiked back up the road a ways. Stopped for bit to pick huckleberries along the way. It looks like portions of the trail continue along the lake shore (it was flagged in places), but the trail doesn’t really continue all the way around. Ended up walking back up the road to where we started (at the junction to the resort which had been blocked by boulders for the winter). Walked back up past the resort to pick more huckleberries and then came home. I was a little disappointed that the weather didn’t burn off, but it was still a good day in the woods and I’m glad I got a chance to see this area in more detail. I would really like to explore the southern part of Monon lake some more some day. This was a trip to explore the southern most part of the Clackamas District, and to try and get in some last minute hiking before the winter snows close the higher elevation trails. The Pyramid Butte trail is an abandoned trail that is still in REALLY good shape. 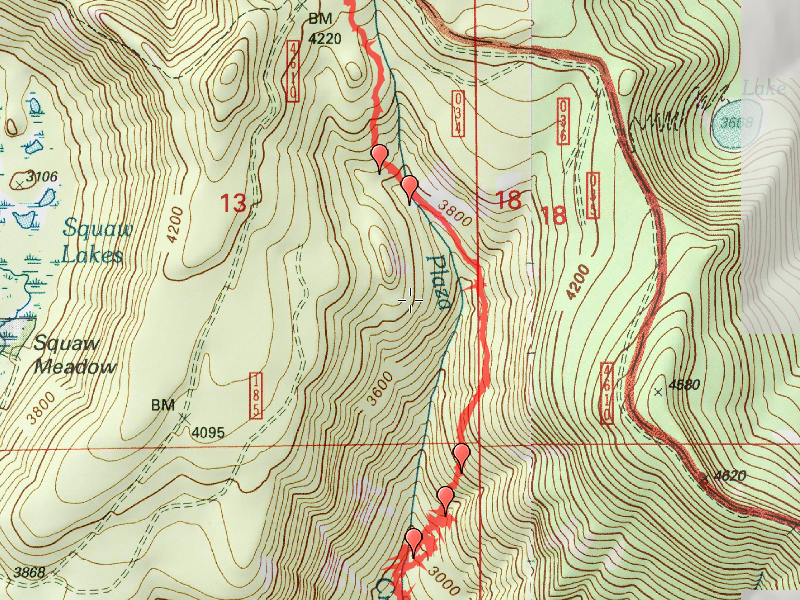 I also wanted to explore the PCT farther south in the district. 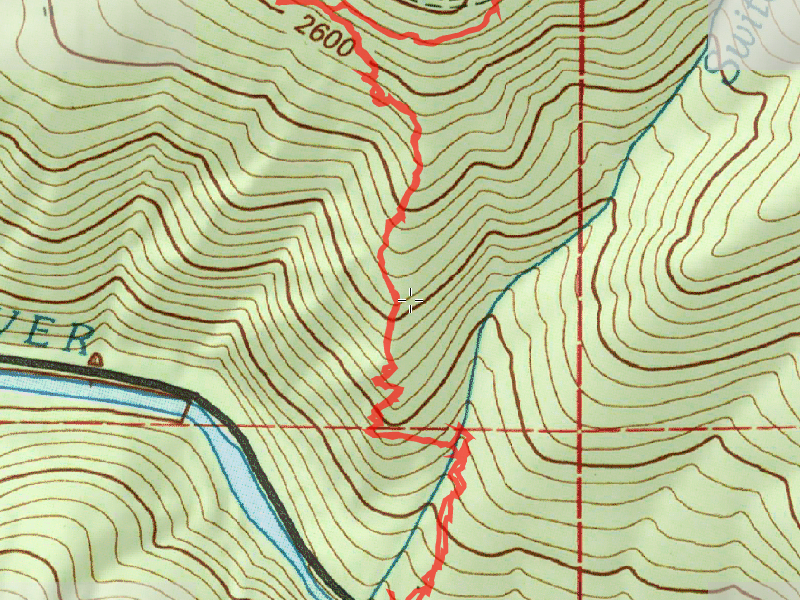 I actually thought this was past the border of the district, as it goes into the northern part of the Jefferson Wilderness, but the district boundary is actually a couple miles farther down the PCT. 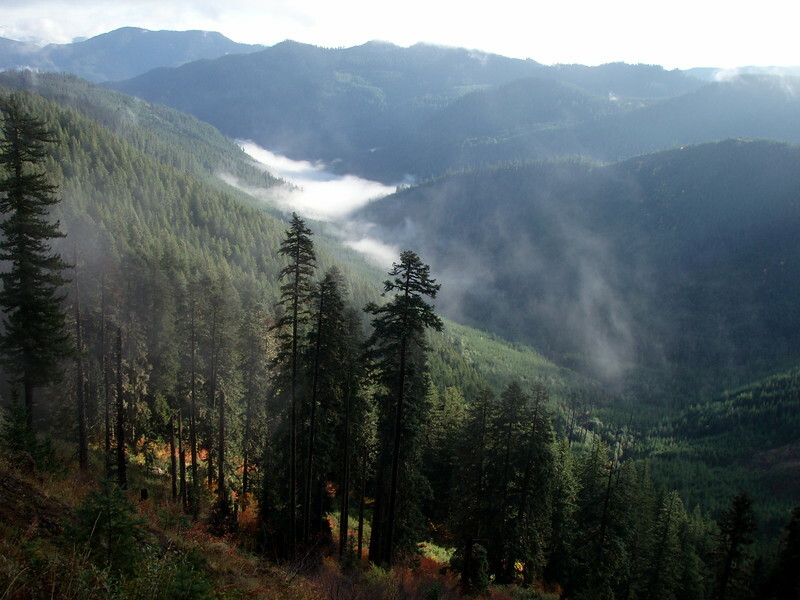 So, next year I have a trip from Breitenbush south to the border on my list of “to-do” hikes. 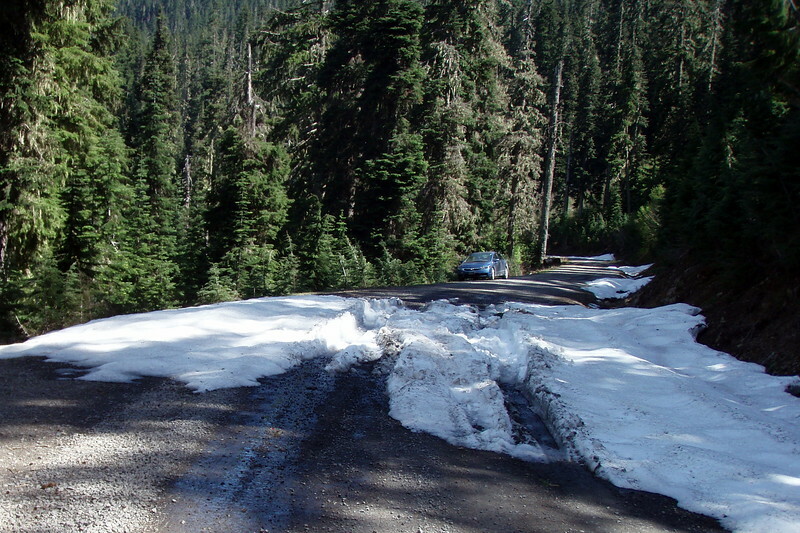 The road to Horseshoe Lake campground is pretty rough, and beyond to Breitenbush is even worse. It was quite a wild ride down that rough road. The Horseshoe lake trail was in great shape, although it was a little cool – we found frost on parts of the trail, and the parts that weren’t icy were very wet. Fortunately, we wore our rain pants to keep the water off our pant legs. After the junction with the PCT, we headed south towards the junction with the Pyramid Butte trail. There were several nice viewpoints, and the trail was in great shape – not too surprising since it was the PCT. Once we got to the wilderness boundary, we knew the trail junction was pretty close. We thought we found the correct trail junction, but we later realized that we took the wrong junction. I think we ended up taking a game trail, even though it looked like a trail, it quickly ran out. We eventually found the real trail, and on the way back found where we made the wrong turn. At the bottom of Pyramid Butte is a junction that goes south on what used to be the Skyline trail. Sometime later, when the PCT came through, it was rerouted a little farther east, bypassing this junction. 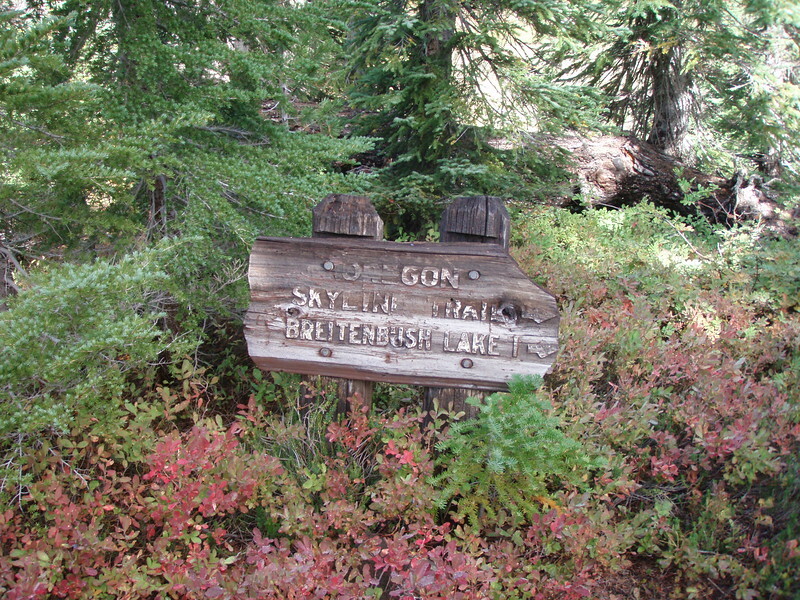 There was still an old sign at the base of the butte, right where the trails joined. It was very cool to see such an old sign that was in great shape, but you could see how weathered it was. The sign must have been at least 50 years old. Taking the trail up to the top of the butte was steep, but reasonably easy (since it was pretty short). We saw some old phone line cable and insulators on the way up, and found the old lookout foundation. Interestingly enough, the lookout wasn’t on the highest point of the butte. It was on the northern end which is a little lower than the southern end. There isn’t much left of the lookout, just some piers and metal ties, and some broken and melted glass. The really big draw to Pyramid Butte is the view. The views in almost all directions are stellar, some of the best in the area. To the south, you can just seen Mt Jefferson peeking over the hill – it looks so close you could touch it. To the east, on a clear day, you can actually see central Oregon. To the north, you can see Ruddy Hill and Olallie Butte. The butte is almost completely burned, but the very top was spared. Hiking back down, we found where we found the wrong turn we took. 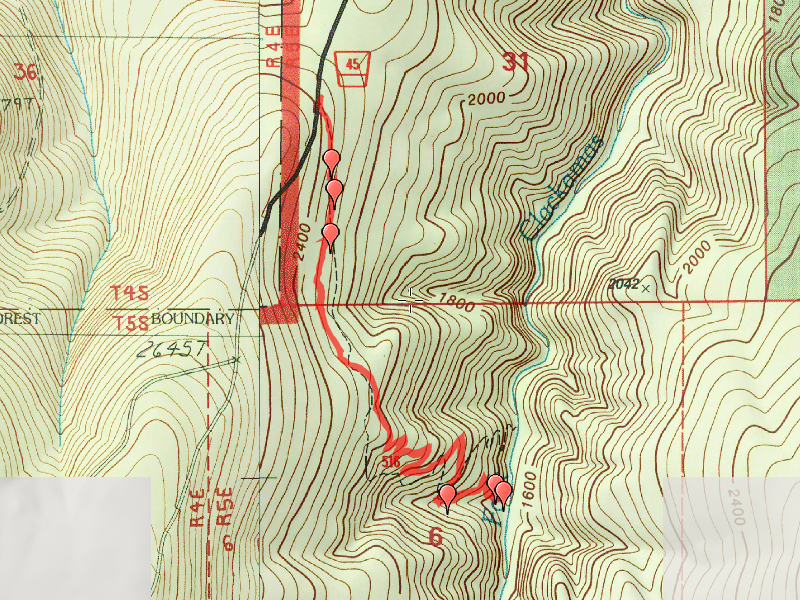 We found the spring referenced on the map and walked through the burned area – the Pyramid Butte fire of 2010. Parts of it burned REALLY hot, and other spots weren’t too badly hit. We were still feeling pretty good, and had enough time left, so we decided to hike up to Ruddy Hill. That trail is in good shape, but I forget how steep it is. You essentially walk straight up the hill (a little cross hill, but mostly up). Once on top, the view is great (but not as good as on Pyramid Butte). We got a great view of the butte, and saw the old telephone box at the summit. Met a nice group at the summit and talked for a few minutes. Interestingly enough, there was still wildflowers – Kirk had been up there just a few weeks ago, and there was till a big snowbank there, so the flowers didn’t have much of a season. On the way to our next stop, we stopped at the Breitenbush campground, which is now on Indian reservation land. We looked at an old stone building, which was interesting. 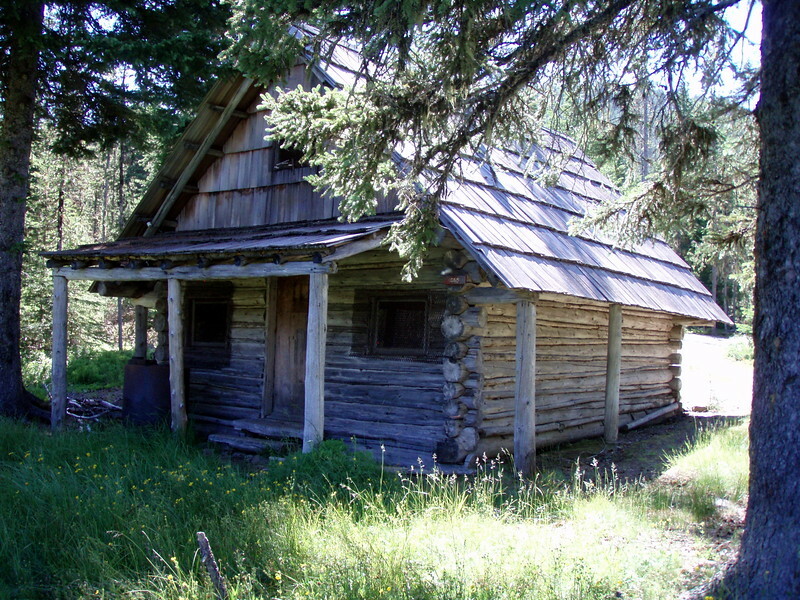 The campground was originally built by the forest service, but when the reservation line was moved, the campground reverted to tribal ownership. A quick trip back down the hill and back to the campground and we went on to our last destination for the day: The weird, unique springs in the bottom of the Breitenbush valley. The floor of the valley is essentially a bog, but these springs are really weird. 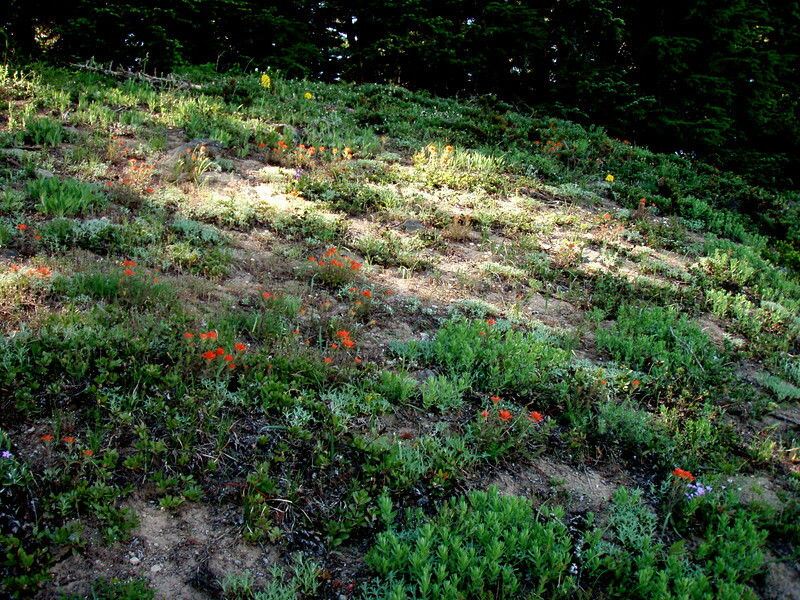 They have a “brim” around them that makes the water level a foot or two above the rest of the meadow. One of them looked a lot like the hot springs in Yellowstone park (although these are not hot springs). You could see trees and roots way down in the spring, probably 10 feet deep. Really weird, but cool. Lastly, we had one more surprise on the way home. After enduring the seeming never ending rough road that is forest service road 4220 (it is hard to call it a road in places), we were stopped about 10 miles from Ripplebrook – someone had run their car into the river and flipped it. There were two tow trucks that were trying to get the car out of the river but were not having much luck. After about a half hour of attempts to get it back up the hill, they moved and let people pass while they were going to re-think their approach. We were told by others who were tehre thatn the driver was OK and was taken from the scene a little before we got there. It was amazing that they weren’t more seriously hurt. It was one of my best days hiking, and a great way to do what will be one of the last high elevation hikes this year. 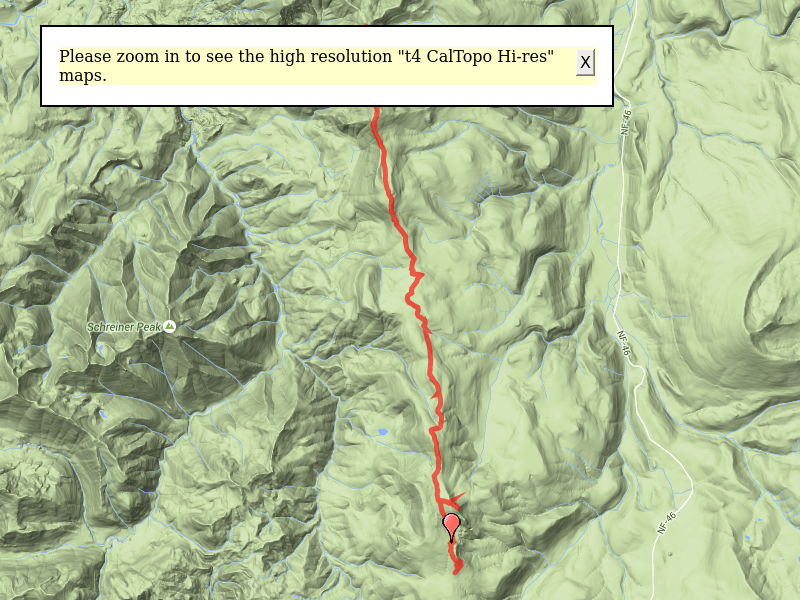 In my ongoing quest to hike all of the trails in the Clackamas district, one on my list was the Rho ridge trail. Without doing an overnighter, hiking 22.5 miles in one day (up and back) is too much for me. Although this trail has good intermediate access at several points, I still wanted to do the whole trail in one day if possible. The next best thing is to do a shuttle hike, leaving a car at each end. We got an early start to the day, since it would be a reasonably long day, and the days are getting shorter. We met at the ranger station at 8am and headed out. We got to the northern trailhead about 9:15 or so, dropped one vehicle and headed to the southern trailhead. We started our hike a little before 10 I think. We decided we would make the short hike up the cabin on Hawk mountain. Last time I was up there in the fall there was a wasp nest in the porch and I got stung. This time, no wasp nest. There were some more things in the cabin, and someone had posted 4 photos showing what things looked like when it was in use. It was pretty cool to see – the tower had a second temporary tower next to it- probably when they were building it. There was also another building to the side. After visiting the cabin for a bit, we wandered back down the side trail and back onto the main Rho Ridge trail. The trip was pretty uneventful – it was a warm day but there was a slight breeze blowing. I was a little surprised that there weren’t more views, especially on the southern end of the trail. 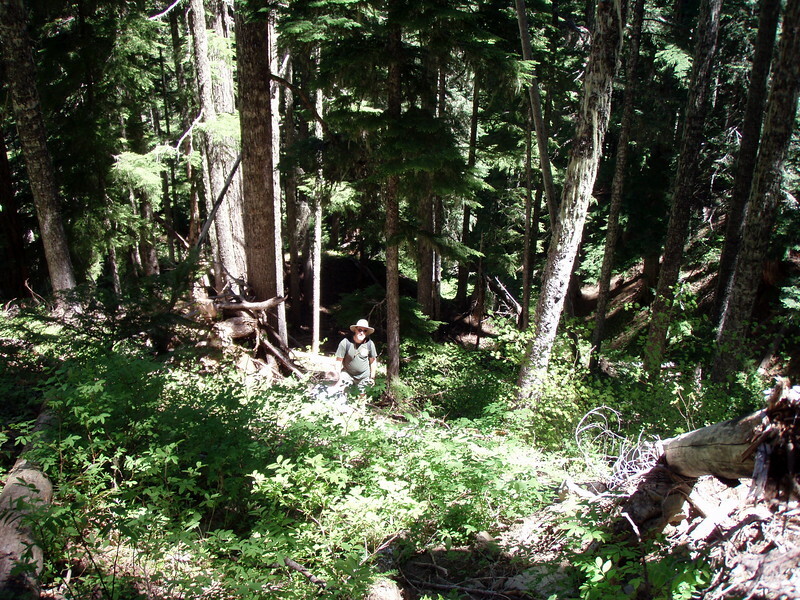 Most of the trail you are on a ridge, but hidden in the trees. The views are mostly on the northern end of the trail. We did get a really good look at the Motherlode fire from the old lookout site on Mt Lowe. Although the fire had died down over the last week or so, the warmer temperatures and wind had whipped it up again, and there was lots of smoke from the Battle Creek drainage. 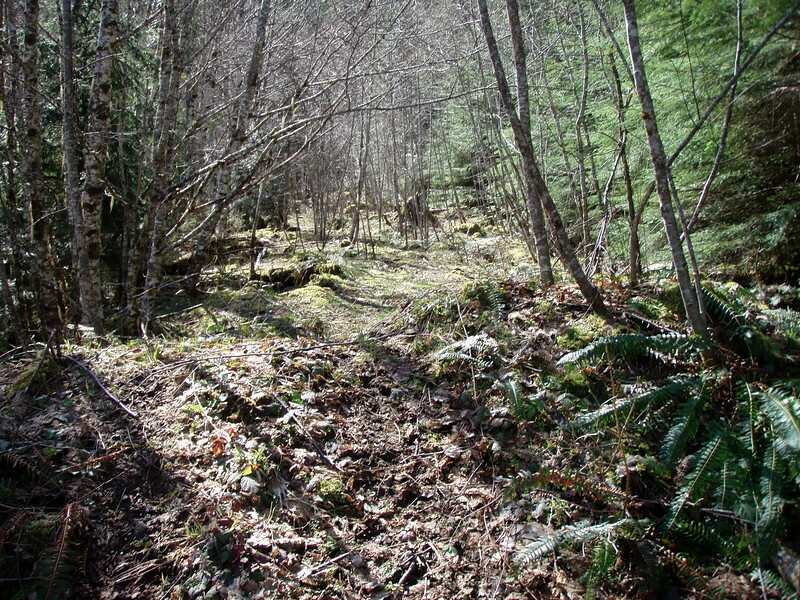 The trail crosses quite a few old roads, many of them closed or decommissioned. Right at the northern trailhead we found a bounty of ripe huckleberries. We stopped and ate a few of them, but we were running a little bit late so we didn’t have time to pick any to take home – just a few for the ride home. Stopped at Fearless brewing in Estacada for the annual launch of their strong scotch ale – good stuff! A great, but tiring day in the woods…. P.S. – I have about 8 more trails to finish before I hike all the trails. I won’t be able to finish this year – will have to wait until next year….. 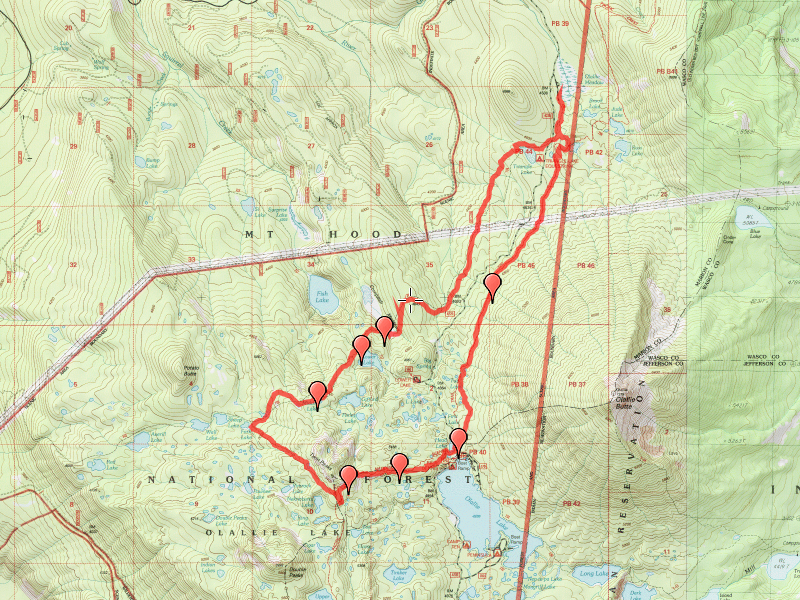 This was intended to be a loop hike, going counterclockwise, starting on the Lodgepole trail, then taking the Red Lake trail to where it intersects with the PCT and taking the PCT east and then north back up to where it intersects the Lodgepole trail. Shortly after the trail starts, there is a poorly marked junction with the PCT – to continue on the Lodgepole trail, I needed to turn right instead of continue straight ahead. I quickly realized my mistake, and decided to to the hike clockwise instead. There were a lot of wood cutters there cutting up the downed trees. The hike started out great – not too many bugs and the temperature wasn’t too bad. It continued to get warmer and warmer throughout the day, and this trail doesn’t have a lot of protection from the sun. I didn’t bring sunscreen (oops! ), so I tried to cover my neck and head to keep from getting sunburned. I was mostly successful in that regard. The PCT was in GREAT shape, and I met quite a few people on the trail on my way to Olallie lake. I opted not to stop at the Olallie Lake store on my way through due to having Bodie with me (he isn’t too good around people). I crossed the 4220 road and went by Head Lake and stopped shortly after that at an unnamed lake to have lunch. It was nice – in the shade, next to a lake. The bugs weren’t too bad, either. Bodie took the opportunity to lie down in the lake to cool off a bit. After the lake, we headed west, to meet the Red Lake trail, passing a few small lakes. We met the Red Lake trail – where we were two weeks earlier that had snow covering the trail – the trail was free of snow and we had an uneventful trip to the Lodgepole trail junction. We hiked up the Lodgepole trail a ways, and stopped at Lower lake to cool off a bit. It was starting to get pretty warm, especially when you are hiking. After a short rest break at the lake, we continued on to Cornpatch meadows (a very interesting place) and finished the hike. I saw the place we took the wrong turn at the beginning, and the last mile of the hike seemed to take FOREVER. Probably because I was hot and tired and I just wanted to get back to a comfy seat and some A/C. 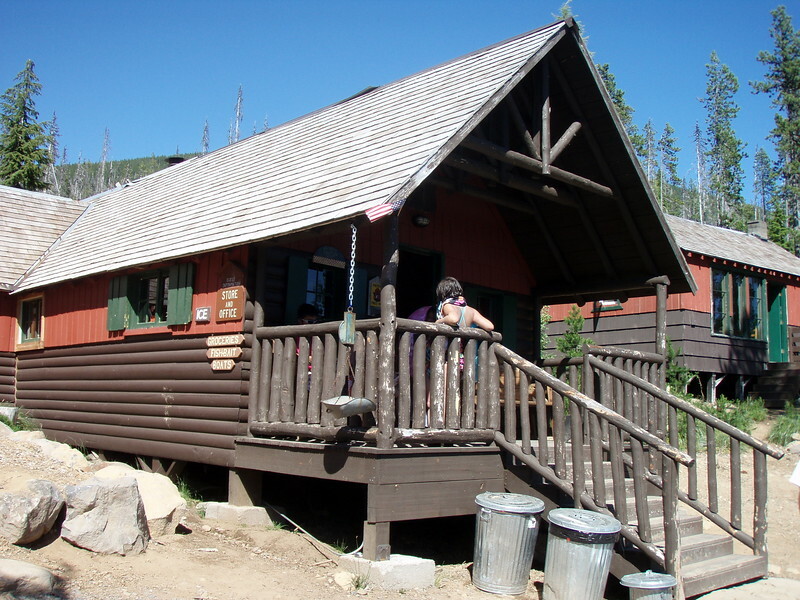 We went down to the Olallie Lake store to see the improvements they made and I bought a cold drink. All in all a great, although DRY day. I underestimated the amount of water I needed and had to stop a couple of times to fill my bottle. At least there were lots of lakes to choose from. This was intended to be a hike on the south end of the Baty Butte trail, in preparation for a South Sister climb the following weekend. Neither of those things came to pass. The South Sister climb was changed since there was between 2-8 feet of snow on the ground at the lake we were going to camp at. 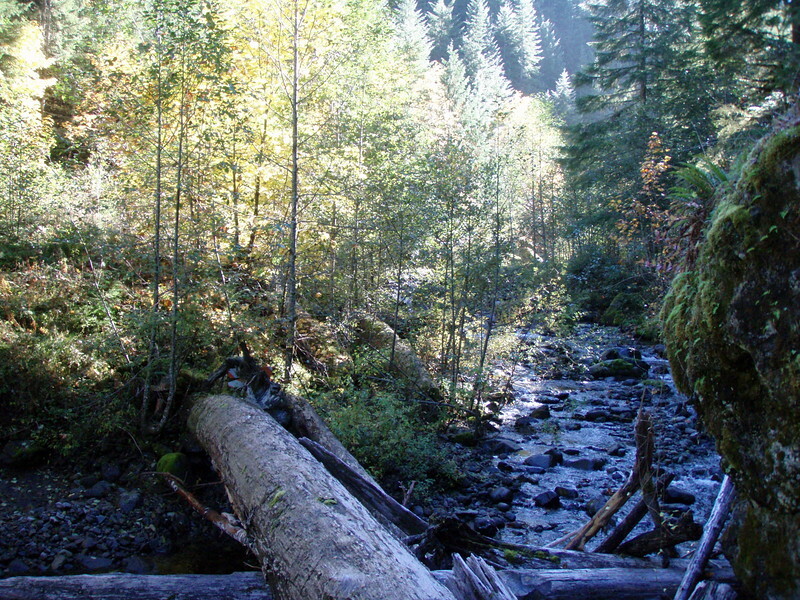 This hike was changed because the road leading to the trailhead was closed about 4 miles short of it due to a washout. We looked at the map and thought we could go cross country to hit the Baty Butte trail. What we didn’t plan too well was how difficult that cross country route would be. It was over a thousand feet vertical and there was LOTS of devils club and rhodies to deal with. It was an amazing cross country hike, but it was TOUGH. Kirk calculated the incline to be about 55%. It took a long time to do the short cross country (less than a mile), and by the time we got on the trail, it was getting late. We ended up going less than a mile down the trail, but did get to the first hillside meadow, which had lots of flowers in it. Since the trip up was so difficult and took so long, we decided to hike back the road, even though it was much longer. We didn’t get back to the pickup until almost 8:00pm! A long day, but it was a lot of fun….. I have not been out hiking in almost 2 months due to end of school year events, so this was a welcome escape. 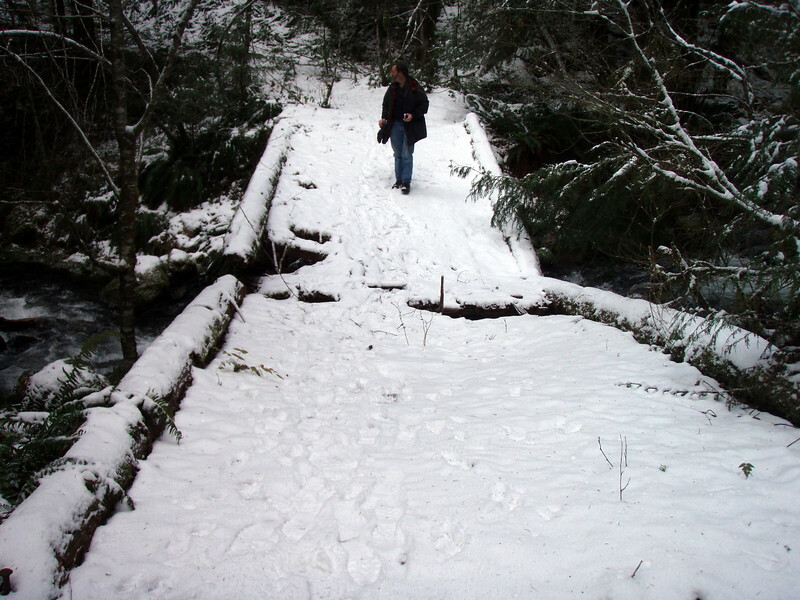 Since I wasn’t sure of the snow levels (this has been a weird year for snow), I decided to try a couple of relatively safe (lower) trails, and to add on a short hike that I’ve been wanting to do for a while now (Round Lake.. Part 1 of the hike – was the Fish Lake trail. This was a trail I’ve done a few times from the west end, but never went beyond the lake. 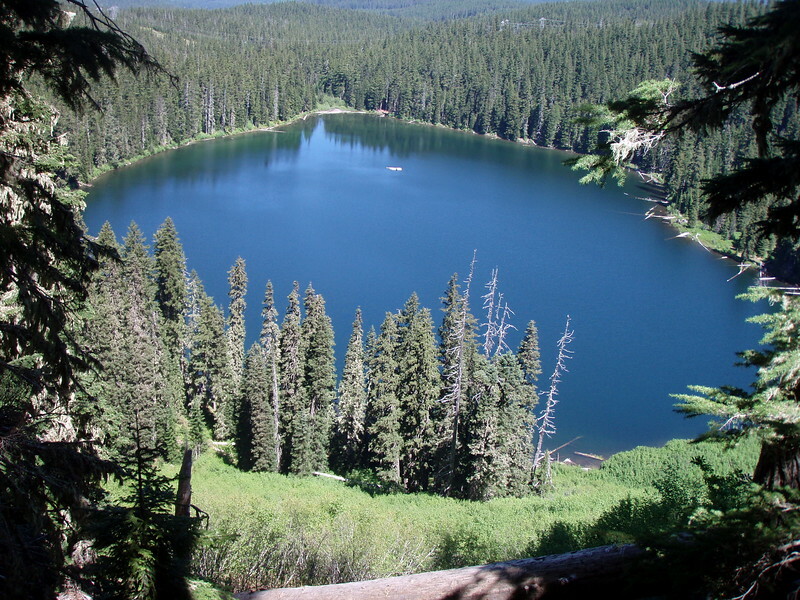 That is too bad, because one of the best spots on the trail is actually past the lake – after you pass the lake and make the climb up the hill, there is a GREAT viewpoint of the lake. There were a couple of families camped at the lake, but both were on the NE side of the lake, so I didn’t pass through any occupied campsites which was kind of nice. I saw no snow until about 4200′, on the way up the hill, and then just in a few spots. 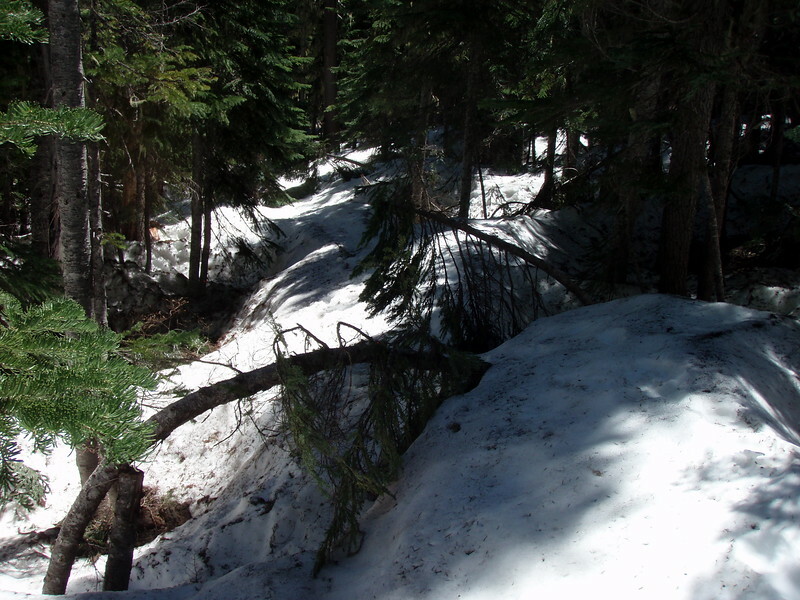 Once up on top, there was no snow until almost to the Lower Lake campground, and then there was a couple hundred feet of 2-3′ drifts across the trail. 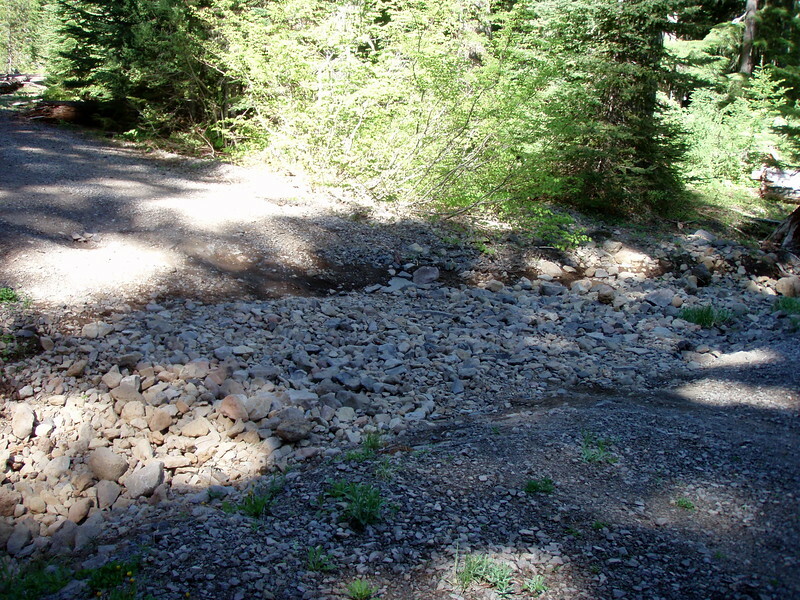 One thing about the access to the trailhead – there is a washout on the 4691-120 road at Squirrel Creek that low clearance vehicles can’t get past. Trucks or higher clearance vehicles can get through no problem with a little caution. I also explored the NE side of the lake, trying to see where people had been driving to the lake from the power line road. There is a rough “road” from the power line access road that people are still using, even though there are signs that motorized vehicles shouldn’t go any farther. There are large “tank traps” on the NW side of the lake which seems to have stopped them on that side, but there is only one trap on the NE side and it isn’t too hard to get over, which is why they probably choose that side. Part 2 of the hike was the Round Lake trail and camping area. This is a very LONG drive, but it is a very pretty lake and some really nice campsites at the lake. The trail goes all the way around the lake, however the back side gets a little brushy. The campsites at the lake were very nice, well dispersed with picnic tables and even outhouses! Had a little bit of a challenge getting to the trailhead on road 6350 – there were 3 different snowdrifts across the road – one was over a foot deep, but it was pretty soft and I just plowed through it. Won’t be long before it is completely gone. There were 3 or 4 families camped there, however they were camped along the road, not at the lake. There was no one camped at the lake itself. A beautiful summer day in the woods! 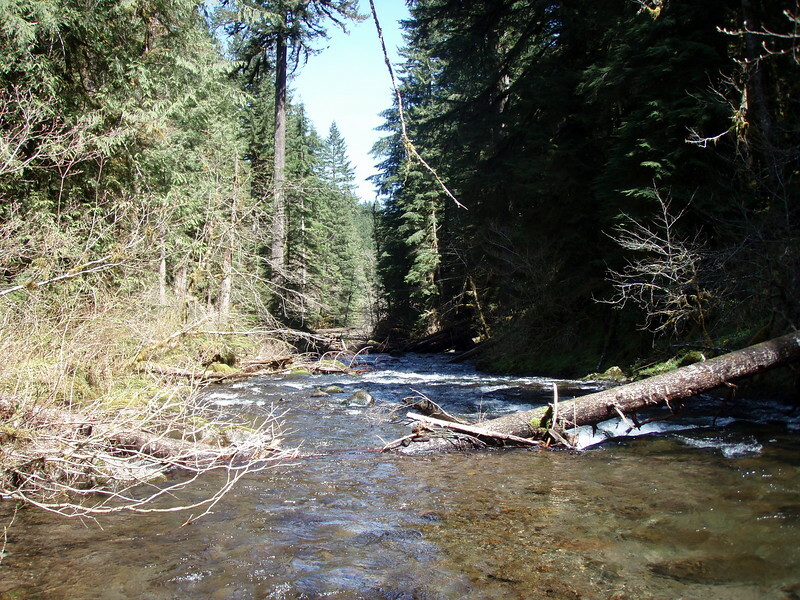 This was a short hike down the South Fork of the Clackamas River on the Hillockburn trail. I didn’t have a lot of time for a hike on this day, but really needed to get out and stretch my legs and enjoy nature. The weather was BEAUTIFUL! This is a short trail that is pretty close to home, so it worked out OK. The start of this trail is very depressing due to all the garbage and abuse, however there is one corner that you turn on the trail and it completely changes from an abused area, to a beautiful area with wonderful scenery. The noise and abuse you saw earlier literally disappears. It is almost magical. I spent a little while down at the river, enjoying the sounds of the river and eating lunch. I spied the trail that continues up the other side, and am going to try and do that trail later this summer. A short, but great day out. This was a trek up the old 5420 road in the Fish Creek drainage. Many people call it the Calico road (old maps also show this name). I have explored this area before, however I wanted to go further than I had before. I had heard some interesting things about the area and wanted to explore more. crossed several creeks, and even got to see a bunch or horses on the trail! 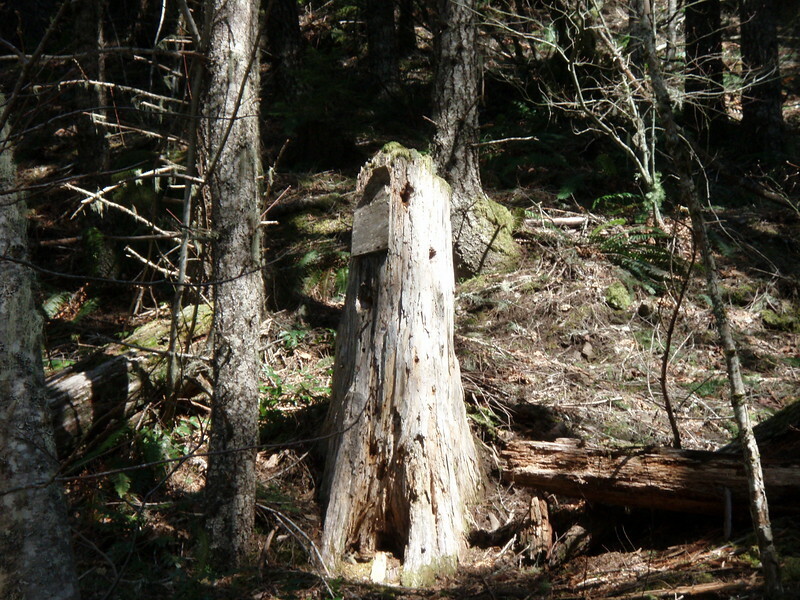 I also found an old stump with an old sign on it, however the sign text was gone. I’d love to know what used to be on the sign, but alas I will probably never know. It is very interesting to see how quickly nature will recover and reclaim land that man has disturbed. While you can still clearly see the old roadbeds, most of them are being overgrown with young alders – the only thing that keeps it passable is the quad tracks and periodic pruning of some of the alder sprouts. Most of the old road is rather protected, but there are a few places where you get a good lookout into the drainage. I saw the lower road at one point, and most of the way you could hear Fish Creek in the distance. I didn’t see anyone else all day, until I was almost back to the truck, and then saw a lone hiker and a group of horseback riders. 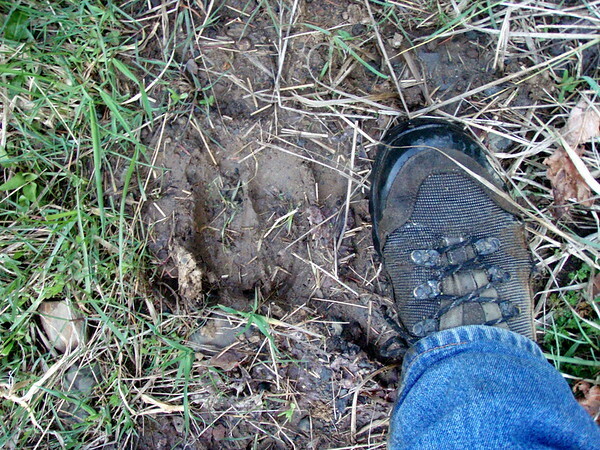 As I was hiking back, I saw tracks and droppings, and couldn’t believe I had missed them on the way in – well I didn’t, it was because they came in after me! An interesting day of exploration in an interesting place. A short hike on an abandoned trail with a couple of friends. Although it was a short hike, it was great to get out in the woods. I was surprised at how much snow there was, especially up higher. When we got on top, there were spots where it was probably 18″ or more deep! Crossing Switch Creek was a little bit of a challenge, too, since there was a lot of ice covering the rocks. I ended up walking across a log on the way back, since it wasn’t icy like the rocks were. A trip on the way home to Fearless Brewing in Estacada for Strong Scotch ale made for the perfect end to the day. I decided to take advantage of the nice weather and take a day off from work. It was a little cool and foggy in the morning, but the sun came out a little later and it was beautiful. I started this hike at the Rainbow campground, hiked the trail all the way to the Riverside campground where I had lunch. After eating lunch, we turned around and came back the same way. 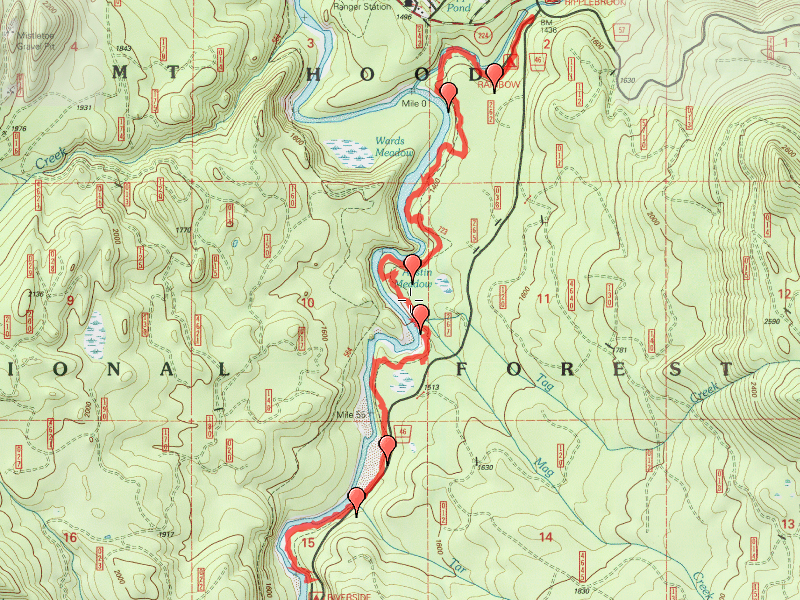 A couple of notes about the trail – The first bit where you are on the trail along side the Oak Grove fork isn’t too interesting. When you turn the corner and hit the main Clackamas, things start improving. You go through a lot of old growth, lots of moss, several creek crossings (which all have bridges), and basically just go up and down the whole route. Most of the time you can see the river, and sometimes you can see and/or hear the road. The last mile or so of the south end of the trail parallels the road pretty closely, so you will see and/or hear the traffic on the road. You almost always have the river as a companion, however. It was very interesting to see how the river is re-shaping its channel. 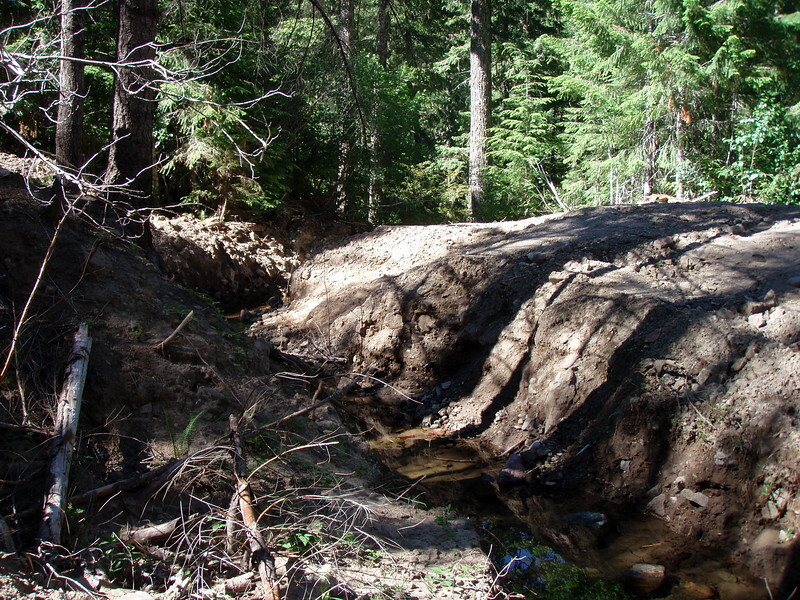 There are a lot of big slides on the trail where the river is changing course. I also found a few historical things today – or what I think are historical things – one is possibly where the old fish hatchery used to be. I’m going to check some old maps to see if I’m right. There is also a bridge across Tag creek that was an Eagle project in 1997. What a cool Eagle project! It was a great day out in the woods. Great weather and a river that was running wild! then down and old Railroad grade and eventually up to the “official” trailhead for this trail. The new route was VERY easy to find, and was interesting to see more history of the area, even though you couldn’t see any of the historical artifacts (other than the railroad grade). Once on the regular trail, I was surprised at how much snow was down low, but even more surprised at how little snow was up higher. 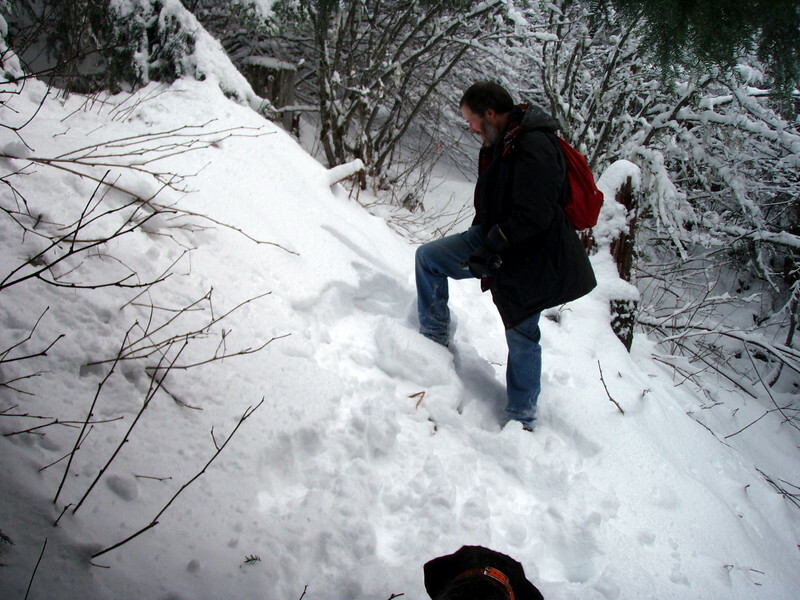 We ended up getting up the trail to almost 3000′ before we decided to turn back, with the snow being about a foot deep. 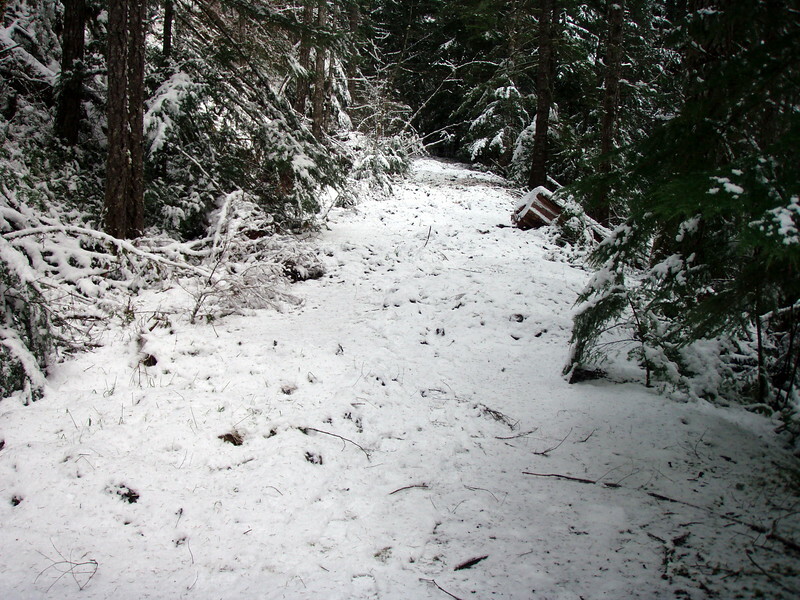 It was fluffy, light snow so even in the places on the trail it was 3-6″ thick, it wasn’t too hard to walk in. Where it got to be a foot deep, the upper layer was the fluffy stuff, and the stuff lower was crunchy, which made you post hole. The weather wasn’t as clear as I had thought it would be, but it was still nice. Rather cool, being probably below freezing when we started, and warming up a bit to a little above freezing by the time we left. The hike was a constant struggle to keep warm, and then not get too warm. Some nice viewpoints along the way, along with good company, good weather and beautiful snow in the forest made for a great day in the woods and a great way to start 2011.